The University of Maryland is not only the largest university in Maryland, but also a popular wedding venue, especially among it's proud alumni. Offering special discounts for UMD affiliates, alumni, and Veterans, it's a wise choice. The beautiful wedding chapel can accommodate 300 guests. Tall ceilings, a pipe organ, and gorgeous white interior make it one of the most sought after ceremony locations on the campus. Imagine walking down the long aisle with it's red carpet toward your soon to be spouse. Friends and family line the pews, smiling as you walk by. Music from the organ fills the air, amplified by the chapels acoustics. 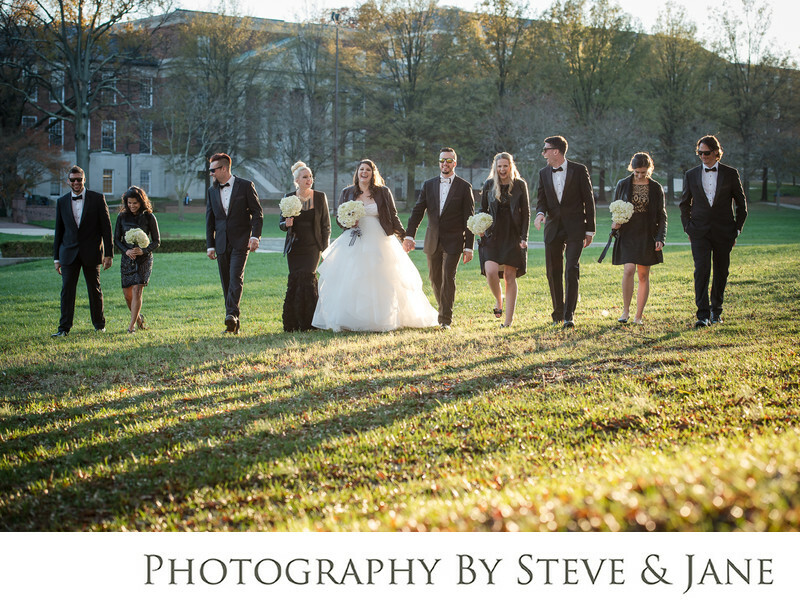 After the ceremony, you and your wedding party can walk over to McKeldin Mall. This quad, all nine acres of it, is surrounded by various academic buildings. Testudo, the mascot of the University of Maryland, presides over the mall and the fountain honoring Omicron Delta Kappa and it's members. It's considered good luck for the newlyweds to have a photo taken with the statue of the college's famous terrapin. Many couples that say their vows at the wedding chapel also have their reception at the Samuel Riggs IV Alumni Center. Marble floors, warm fireplace, grand staircase, stained-glass Maryland flag ocular, and our lush Moxley Gardens with crystalline fountain are the perfect setting to celebrate the start of your new life together. Location: 1101 Memorial Chapel University of Maryland College Park, MD 20742.